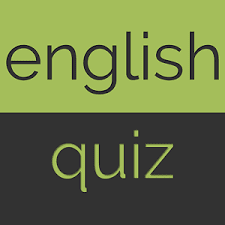 Dear Readers, Practice English Quiz for upcoming SBI Clerk Exam and Other Exams. 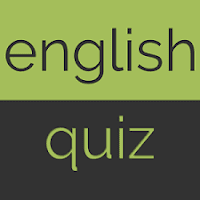 Directions(Q.6-10)Which of the phrases (1), (2), (3) and (4) given below each statement should replace the phrase printed in bold in the sentence to make it grammatically correct? If the sentence is correct as it is given, mark (5) as the answer. 6.The inexperienced trainee accidental turned off the lights during presentation. 7.Attempts by both parties to reach for a consensus have not succeeded. 8.Children nowadays are watching too much television. 9.The approach has affectedly the methodology of research. 10.The research reported here is based at a survey. Directions(Q.11-15):Each question below has two blanks, each blank indicating that something has been omitted. Choose the set of words for each blank which best fits the meaning of the sentence as a whole. 11.How people would ……… In a particular situation cannot be …… with perfect accuracy. 12.When the mob turned ………, the police opned fire to control the …… Situation. 13. The government ……… down the opposition ………… for a joint parliamentary committee probe. 14. The handwriting on the letter was very ……… none could ……… It. 15.The delay in completing the task ………….. can be attributed to their ………… . Directions (16 – 25): in the following passage there are blanks, each of which has been numbered. These numbers are printed below the passage and against each, five words/ phrases are suggested, one of which fits the blank appropriately. Find out the appropriate word/phrase in each case. Greenhouse gases are only (16) of the story when it comes to global warming. Changes to one part of the climate system can (17) additional changes to the way the planet absorbs or reflects energy. These secondary changes are (18) climate feed backs, and they could more than double the amount of warming caused by carbon dioxide alone. The primary feedbacks are (19) to snow and ice, water vapour, clouds, and the carbon cycle. Perhaps the most well (20) feedback comes from melting snow and ice in the Northern Hemisphere. Warming temperatures are already (21) a growing percentage of Arctic sea ice, exposing dark ocean water during the (22) sunlight of summer. Snow cover on land is also (23) in many areas. In the (24) of snow and ice, these areas go from having bright, sunlight-reflecting surfaces that cool the planet to having dark, sunlight-absorbing surfaces that (25) more energy into the Earth system and cause more warming. 1. (3) It should be ‘was’ in place of ‘is’ because the other part of the sentence is in past tense. 2. (3) Change ‘would not be traced’ to ‘could not be traced’ because ‘would not’ expresses futurity where as ‘could not’ expresses possibility in negative sense. Here the intention of the writer is to avoid the possibility of being traced out. Hence, in place of ‘would not’, ‘could not’ should be used. 5. (3) The right phrase will be ‘to look after’ in place of ‘to look over’. 6. (3) In order to arrive at the correct option, let us consider all the options one by one. Option (1) – has accidentally turn off. ‘Has’ takes V3. Therefore ‘turn off’ should have been ‘turned off’. Hence reject this option. Option (2) has ‘turn on’, we cannot replace ‘off’ with ‘on’. Hence, this option also is incorrect. Option (3) ‘Accidentally turned off’ is absolutely correct. There is no need to justify option (4) any further. 7. (2) The word ‘reach’ does not take preposition with it. Therefore, options (1), (3) and (4) are ruled out. Option (2) is the only correct option. 9. (3) There is no word ‘affectedly’ as such. The correct word is ‘affect’. Because of the use of ‘affectedly’, options (1) and (4) are ruled out. Option (2) has ‘had’ in place of ‘has’. The use of ‘had’ changes the structure of the sentence from present tense to past tense. Such type of substitution of verbs which changes the meaning of the sentence cannot be allowed. Hence option (2) cannot be a correct option. Now, we come to option (3). We see that there is no change in the first word ‘has’. As we know, ‘has’ takes V3, the V3 of affect ie, ‘affected’ is also written here. Hence option (3) is absolutely correct. 10. (1) The correct phrase is ‘based on’ Options (2) and (4) are ruled out because of the use of ‘at’ and ‘into’ in options (2) and (4) respectively. Due to the use of ‘an’, option (3), becomes incorrect. The article ‘an’ cannot be used before a word starting with consonant. Thus, we come to conclusion that option (1) is the only correct option.